At 17.45 GMT today, I carried out the final fuel checks on our Einstein paper, took a deep breath and hit launch (okay SUBMIT). Over the summer, I came across quite a few references to a paper Einstein wrote on cosmology in early 1931, in the wake of Hubble’s first observations of the expanding universe (Ahem – perhaps you mean in the wake of Hubble’s observation of an apparent linear relation between the recession of the spiral nebulae and their distance, an empirical result that some theorists interpreted as evidence of an expanding universe – Ed ). There has already been quite a bit of interest in our article, it seems your humble correspondent may have gotten lucky for once. Or we might be wrong, in which case we’re going to look very silly. In the meantime, it looks like I’ll be doing a bit of traveling this year…. Our article has now been published in the European Physical Journal (History). You can find the article here or a preprint on the Physics Arxiv here. Our article made the cover of EPJ! Not until it is published! So, how do I get the translation? I would love to read it. This is very interesting and I hope your paper will be published but I’d like to mention that Einstein’s computational errors are trivial compared to the fundamental logical error in his reasoning. In my opinion, the importance of your paper is to reveal to the world that Einstein is the source of the logical error of the equivocation of the universe with universe-as-a-whole. Einstein makes the most elementary statistical mistake of extrapolating to the unknown whole from a non-representative sample. Einstein extrapolates from observations of 50 galaxies to unknown number of galaxies in the universe-as-a-whole. His sample is not representative. 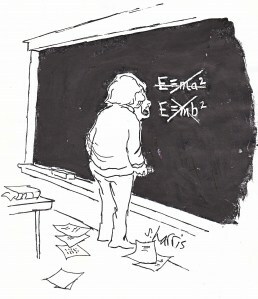 Einstein’s computations are based on the equivocation of ‘universe’ and ‘universe-as-a-whole’ and they are worthless. A question for you. If someone claims to predict election results for polling only 1 (one) person would you consider that prediction a scientific prediction? I am sure that you would at least ask “what election?”, “how many voters are there?”, “what is the population of voters?”. The sample of an unknown population cannot be a representative sample. In Einstein’s case, total number of galaxies are unknown. 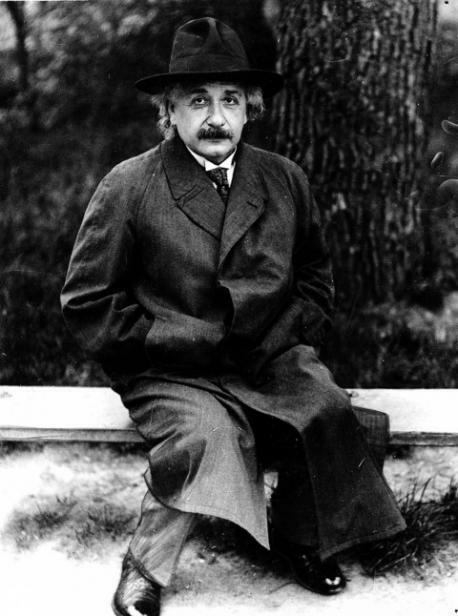 How can Einstein extrapolate from 50 measurements to the unknown whole? This is charlatanism. It’s hard for me to believe a genius like Einstein did not notice that it is absurd to extrapolate from particular astronomical observations to the cosmological whole. Do you mention this fact in your paper? In any case I look forward to the paper.